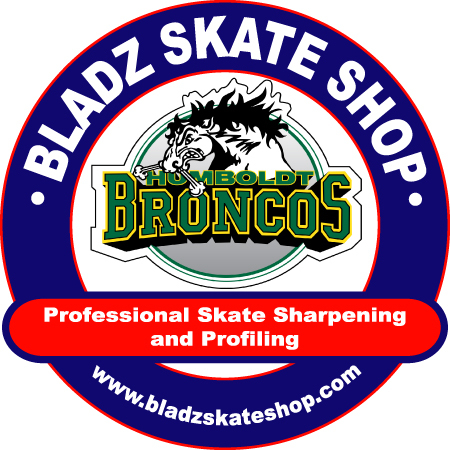 Bladz Skate Shop is a member of MAXIMUM EDGE®, a truly professional skate sharpening and profiling service that increases performance and reduces the risk of injuries. MAXIMUM EDGE® is hands-down the most effective way to maximize skater control for hockey and figure skaters around the globe. Maximum Edge’s research and technologies are in use by over 300 teams in leagues such as the NHL, AHL, CHL, ECHL, WCHL, WPHL, and OHL. They also train universities, colleges, minor hockey leagues as well as the US and Canadian National Hockey Programs. Using this finely honed process you will receive the same consistent results from any of the members that many professional players are receiving from their equipment managers who have taken the Maximum Edge training program. No break-in period after sharpening. Edges stay sharper, longer. Blade edges stay sharp longer, so skaters do not have to change skating styles to compensate for the blade edges as they break down, resulting in less fatigue and injury. Reduced friction. Reducing friction makes skating easier, meaning less fatigue. No skate chatter on stops. Safer skates. The Maximum Edge system eliminates sharp burrs and creates a safer edge; reducing the number of incidental and accidental cuts. Major reduction in skate release. Skate blades that have not been finished have small burrs and foreign material redeposited by machine sharpening. These break off the first time the skates are used, leaving sharp edges which result in skate release. Better control, turns, flows and acceleration.